A Grand Jury of highly regarded film industry leaders from around the world will determine the recipient of the Best Asian Film Award, led by Oscar® and multiple AFI | AACTA Award-winning Actor Russell Crowe who will act as President of the jury. 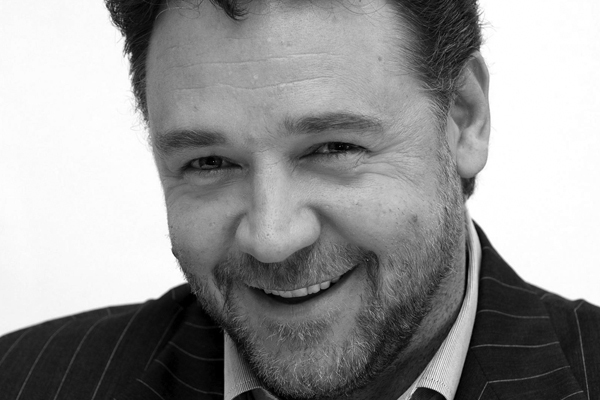 Russell Crowe is an Oscar® winner who is regarded as one of the finest actors of our time. Crowe’s many acting honors include three consecutive Best Actor Oscar® nominations: for his work in the acclaimed 1999 drama THE INSIDER; the 2000 Best Picture winner, GLADIATOR, for which he took home the Oscar®; and 2001’s Best Picture, A BEAUTIFUL MIND. In addition to the Oscar®, Crowe’s performance as Maximus in Ridley Scott’s GLADIATOR earned him Best Actor honors from several critics’ organizations, including the Broadcast Film Critics and London Film Critics Circle. He also received Golden Globe, BAFTA Award and Screen Actors Guild Award® nominations. The year prior, Crowe had gained his first Oscar® nomination for his portrayal of tobacco company whistle-blower Jeffrey Wigand in Michael Mann’s THE INSIDER. He was also named Best Actor by the Los Angeles Film Critics Association, Broadcast Film Critics Association, National Society of Film Critics and National Board of Review, and garnered Golden Globe, BAFTA Award and SAG Award® nominations. Crowe’s masterful portrayal of Nobel Prize winner John Forbes Nash Jr. in Ron Howard’s A BEAUTIFUL MIND brought him his third Oscar® nomination, as well as his third consecutive Critics’ Choice Award from the Broadcast Film Critics Association. He also won Golden Globe, BAFTA and SAG® Awards, and several other critics groups’ Best Actor Awards. Reuniting with Howard in 2005, Crowe earned Golden Globe and SAG Award® nominations, and won an Australian Film Institute (AFI) Award, for his portrayal of Jim Braddock in CINDERELLA MAN. In 2015, Crowe made his directorial debut on the sweeping epic THE WATER DIVINER, in which he also starred. The film won three AACTA Awards, including Best Picture. Born in New Zealand, Crowe was raised in Australia, where he was first honored for his work on the big screen and began gaining international attention. He was recognized for three consecutive years by the AFI, starting in 1990, when he was nominated for Best Actor for THE CROSSING. In 1991, he won the AFI Award for Best Supporting Actor Award for PROOF. The following year, he received Best Actor Awards from the AFI and the Australian Film Critics for his performance in ROMPER STOMPER. Additionally, the 1993 Seattle International Film Festival named him Best Actor for his work in both ROMPER STOMPER and HAMMERS OVER THE ANVIL. Crowe made his American film debut in 1995 in Sam Raimi’s Western THE QUICK AND THE DEAD. He went on to earn acclaim for his role in Curtis Hanson’s crime drama LA CONFIDENTIAL. He has since starred in a long and diverse list of films, including the Ridley Scott-directed projects A GOOD YEAR, AMERICAN GANGSTER, BODY OF LIES and ROBIN HOOD. Among his other credits are MASTER AND COMMANDER: THE FAR SIDE OF THE WORLD, for which Crowe earned a Golden Globe nomination; THE NICE GUYS; PROOF OF LIFE; 3:10 TO YUMA; STATE OF PLAY; THE NEXT THREE DAYS; THE MAN WITH THE IRON FISTS; NOAH; FATHERS & DAUGHTER’S; WINTER’S TALE; MAN OF STEEL; THE MUMMY; LES MISERABLES; and BROKEN CITY. He is currently starring alongside fellow Australian Oscar® winner Nicole Kidman in Joel Edgerton’s BOY ERASED. He is currently starring alongside fellow Australian Oscar® winner Nicole Kidman in Joel Edgerton’s BOY ERASED. 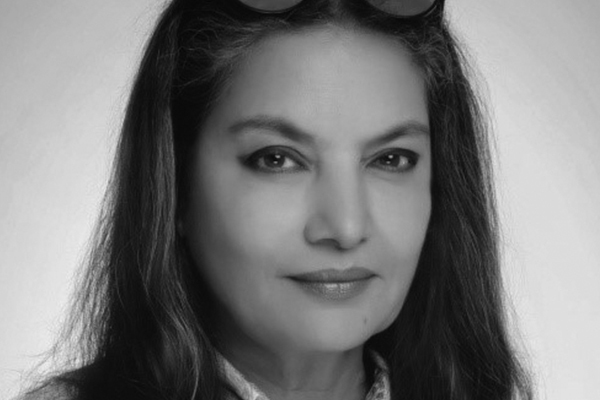 Shabana Azmi is an internationally renowned Indian film actress who has more than 140 films to her credit. Her performances have earned her a reputation as one of the finest actresses in India. Filmmaker Satyajit Ray said of her, that “she is the finest dramatic actress in the country”. Shabana has received multiple accolades, including a record of five National Film Awards of India for Best Actress. She has also received five Filmfare Awards amongst countless others. She is the recipient of the prestigious Padma Shri and Padma Bhushan by the Government of India. She is the only Indian to win the International Gandhi Peace Prize at The House of Lords UK and is the Global Ambassador for Women in Public Service Project initiated by Hillary Clinton. Notable Indian films are: Shyam Benegal’s ANKUR (1974); Satyajit Ray’s SHATRANI KE KHILADI (THE CHESS PLAYERS) (1977); Goutam Ghose’s Venice Film Festival Golden Lion nominated film PAAR (1984); and Mrinal Sen’s Cannes Film Festival Palme d’Or nominated film GENESIS (1986). Notable international films are: John Schlesinger’s MADAME SOUSATZKA (1988) opposite Shirley Maclaine; Nicolas Clotz’s LA NUIT BENGALI (1988) opposite Hugh Grant and John Hurt; Roland Joffe’s CITY OF JOY (1992) opposite Patrick Swayze; Jamil Dehlavi’s IMMACULATE CONCEPTION (1992) opposite James Wilby and Oscar® winner Melissa Leo; Ismail Merchant’s IN CUSTODY (1994); Deepa Mehta’s FIRE (1996) and MIDNIGHT’S CHILDREN (2012); Gurinder Chadha’s IT’S A WONDERFUL AFTERLIFE (2010); and Mira Nair’s THE RELUCTANT FUNDAMENTALIST (2013). Television credits include BBC’s CAPITAL (2015), ITV 1’s NEXT OF KIN (2017) and ITV’s GOOD KARMA HOSPITAL (2017). Theatre credits include: Nora in Henrik Ibsen’s A Doll’s House for Singapore Repertory Theatre (1997); the lead role in Tanika Gupta’s The Waiting Room for the National Theatre London (2002); Emma in Harold Pinter’s Betrayal for Singapore Repertory Theatre (2005); and Tejpal in Pravesh Kumar’s Happy Birthday Sunita for Rifco Arts (2014). Shabana believes that art should be used as an instrument for social change, and is a respected social activist who works for the rights of women and slumdwellers as well as a former Member of India’s Parliament. Paul Currie is a founding shareholder of Lightstream Pictures. His directing and producing work spans commercials, TV series, feature films and the staging of large live events. Paul directed and produced ONE PERFECT DAY, for which he was awarded Best Debut Director from the Screen Directors Association of Australia. Early in his career, Paul also produced the Australian action feature UNDER THE GUN, and co-authored the best-selling book A Hero’s Journey (forwarded by Bryce Courtney, author of The Power of One). Paul directed the acclaimed documentaries LIONHEART – THE JESSE MARTIN STORY and EVERY HEART BEATS TRUE: THE JIM STYNES STORY. He also served as Creative Director for World Reconciliation Day, a live and multi-camera broadcast event that featured Nelson Mandela and Rubin ‘Hurricane’ Carter. Paul was nominated as Australian of the Year for co-founding a charity organisation called Reach Youth, which has affected the lives of over 500,000 young Australians. Paul directed the ABC TV series TWENTY-SOMETHING and executive produced the cop thriller RAMPART (written by James Ellroy and starring Woody Harrelson, Sigourney Weaver and Robin Wright) and MAX ROSE (starring Jerry Lewis). He produced the fantasy adventure film THE KING’S DAUGHTER with Bill Mechanic staring Pierce Brosnan and William Hurt, as well as co-producing DAVID ATTENBOROUGH’S GREAT BARRIER REEF documentary. His recent projects include directing and producing psychological thriller 2:22 (starring Michiel Huisman and Teresa Palmer in the lead roles), and again collaborating with Bill Mechanic to produce Mel Gibson’s Oscar® and AACTA Award-winning HACKSAW RIDGE (starring Andrew Garfield, Vince Vaughn and Sam Worthington). He also produced the large budget Chinese film BLEEDING STEEL, filmed in Australia and starring Jackie Chan, and the Chinese/Australian co-production THE LONGEST SHOT. Paul also recently completed directing the live action opening and ending of THE LEGO® NINJAGO MOVIE, which also stars Jackie Chan. 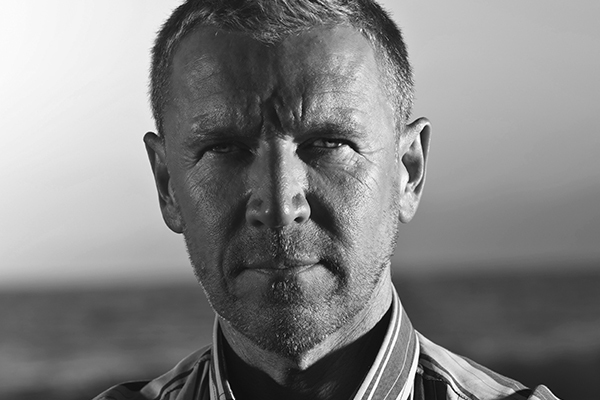 Renny Harlin has established himself in Hollywood as a filmmaker with the ability to identify and develop a wide range of material. His credits span multiple genres and include both action-oriented blockbusters and critically acclaimed dramas. Harlin's films have generated well over a billion dollars at the box office in the theatrical market alone. He is globally known for directing the box office smash DIE HARD 2: DIE HARDER starring Bruce Willis. Harlin also directed and produced the blockbuster CLIFFHANGER. The action thriller starred Sylvester Stallone and helped establish Harlin as one of Hollywood’s premiere action directors. He has recently completed LEGEND OF THE ANCIENT SWORD for Alibaba Pictures which released October 1st, 2018 during Golden Week holidays across China. The movie is based on one of the most popular video games in China, and stars Wang Lihong, Song Qian, Gao Yixiang and Wu Qianyu. This action-adventure epic takes the audience on a magical journey in an imaginary ancient China. At the same time, Harlin is also in post-production on BODIES AT REST. It is an action thriller taking place in present day Hong Kong. It’s a tightly knit, contained story. Most of the movie takes place inside one building – a morgue – apart from a few exterior scenes shot in Hong Kong. The movie is a Wanda Pictures production, co-produced by Media Asia company. The main cast includes Nick Cheung and Yang Zi, playing the protagonists, and Richie Jen, Feng Jiayi, and Carlos Chan playing antagonists. Harlin’s first film in China was SKIPTRACE for Talent International Co., an action-comedy starring action legend Jackie Chan, superstar Fan BingBing and Johnny Knoxville, known to millions for his antics in the JACKASS franchise. Their journey takes them across the diverse landscapes of Mongolia, southern China, Hong Kong and Macau. The film was a smash hit in China, generating 900 million RMB at the box office in August 2016. 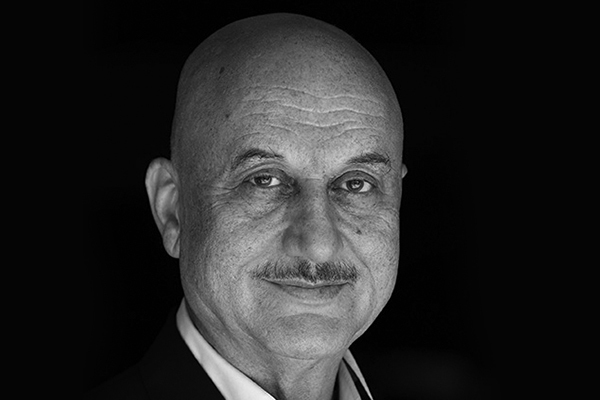 Anupam Kher is one of India’s most renowned actors, appearing in over 500 films and 100 plays during his 35-year career. Kher studied at the National School of Drama, graduating with a Gold Medal in Acting, before beginning his illustrious career with Award-winning roles in films such as SAARANSH (1984) and DADDY (1989). He continued his golden streak with roles in blockbuster films including KARMA (1986), LAMHE (1991), DILWALE DULHANIYA LE JAYENGE (1995), MAINE GANDHI KO NAHI MARA (2005), HUM AAPKE HAI KAUN (1999), KHOSLA KA GHOSLA (2006), A WEDNESDAY (2008), SPECIAL 26 (2013), BABY (2015), PREM RATAN DHAN and M.S. DHONI – THE UNTOLD STORY (2016), to name a few. He has also appeared in acclaimed Hollwood films such as SILVER LININGS PLAYBOOK (2013), HOTEL MUMBAI (2018), THE BIG SICK (2017) and THE FAMILY MAN (2016). He has worked with directors such as Ang Lee, David. O Russell, Woody Allen, Gurinder Chaddha and The Wachowskis. He was nominated for a BAFTA Award for his role in the BBC TV film THE BOY WITH THE TOP NOT (2017), starred in both seasons of the Emmy-nominated television series SENSE8 (2015-2018), and is one of the lead actors on the recently premiered hit television show NEW AMSTERDAM (2018) on the NBC Entertainment Channel. Kher has received a record eight Filmfare Awards in a row. The Government of India has also honoured him with the Padma Shri (in 2004) and Padma Chushan (in 2016) for his contribution to cinema. He has been the Chairman of the Film Certification Board and the National School of Drama in India, and is the current Chairman of the Film and Television Institute of India (FTII). He is a member of the Advisory Board of the National Cadet Corps (NCC) and the Audit & Accounts Department of India. In 2005, Kher established one of the world’s finest acting schools – Actor Prepares. He has earned a reputation as a global motivational speaker and is sought out by business schools and corporate organisations. In 2008, Kher established the Anupam Kher Foundation to spread education to less privileged children and has been awarded the Dalai Lama Award for his work with underprivileged children. He was appointed as a UN Ambassador for the HeForShe campaign in 2015 which strives for gender equality. Kher authored the best-selling inspirational book The Best Thing About You Is You, which has been translated in six languages and is in its 20th edition. Liu Yi is the screenwriter of the AACTA nominated Chinese film WOLF WARRIOR II, China’s highest grossing film in history and the only non-Hollywood film to be included in the top 100 highest grossing films of all time. 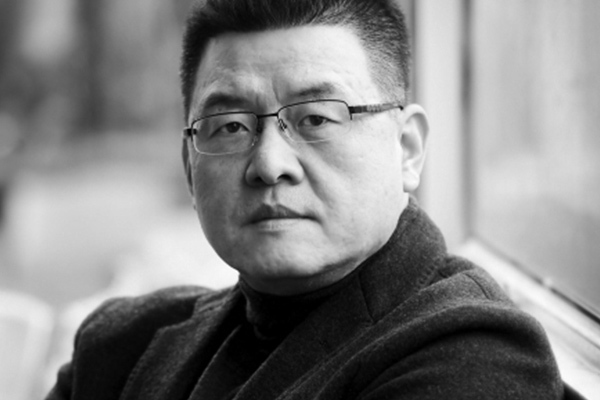 Liu Yi is also the founder of China’s largest collective of screenwriters and is best known for his action and detective stories. 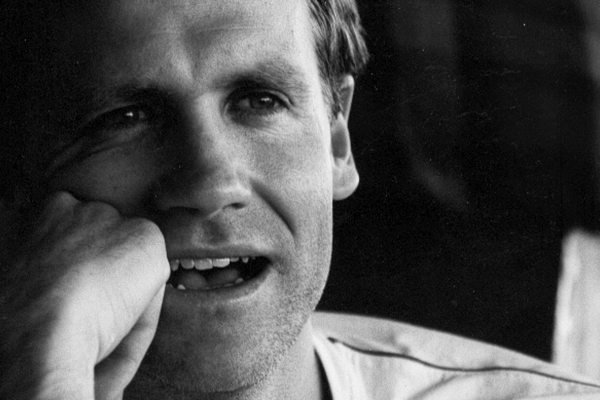 He has written dozens of feature films and television dramas for Chinese audiences and is currently working with Beijing-based Hollywood director and fellow AACTA Best Asian Film Grand Juror Renny Harlin on the upcoming co-production OPERATION SOMALIA. Born in Seoul in 1969, Woo-seok Yang graduated from Korea University in 1994 with degrees in Philosophy and English Literature. As a cartoonist, he has written several webtoons and novels, including STEEL RAIN 1 & 2 (2011-2012), ROBOT TAEKWON V (2009), IF THOU MUST LOVE ME (2008-2009) and AMOR CERTUS (2016). Yang has also worked as a television, radio and movie producer for companies such as MBC Productions, TBC and SK Independence. After teaching himself about HD and CGI, he produced the HD film DESIRE (2004) and became the creative planning director at computer graphics company Locus. Yang co-wrote and directed his first feature film, THE ATTORNEY, in 2013. Starring top South Korean actor Song Kang-ho as the protagonist, the film became a box-office sensation, becoming the ninth film in Korean cinema history to reach 10 million admissions and (at the time) the 8th highest grossing Korean film of all time. THE ATTORNEY received multiple accolades, including five Best Director awards for Yang, from the Chunsa Film Art Awards, the Baeksang Arts Awards, the Director’s Cut Awards, the Korean Association of Film Critics Awards and the Grand Bell Awards. He again wrote and directed his second feature film STEEL RAIN (2017) was based off his 2011 webtoon of the same name. The action-thriller film was nominated for four Awards at the 54th Baeksang Arts Awards and won the Award for Best Actor at the 23rd Chunsa Film Art Awards. STEEL RAIN was released worldwide on Netflix in March 2018. Kiki Sugino boasts an already prolific career as an actress an producer, with film credits including: HOSPITALITÉ (2010), which won her the Best New Actress Award at the Yokohama Film Festival; ODAYAKA (2012); AU REVOIR L’ÉTÉ (2014); and CHIGASAKI STORY (2015). Her directional debut, KYOTO ELEGY, premiered at Tokyo International Film Festival in 2014, and her second feature, TAKSU (2014), won her the Rising Director Award at the Busan International Film Festival. Sugino has worked widely in Asia, and has already been the focus of special section devoted to her work at Toronto International Film Festival and the Taipei Film Festival. 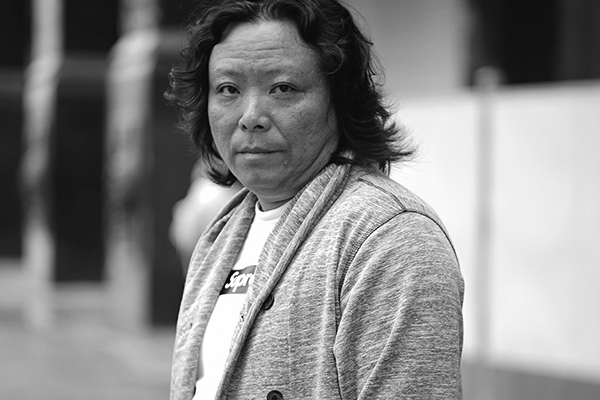 Her recent directorial work is SNOW WOMAN (2016), which premiered in competition at Tokyo International Film Festival in 2016. She appears in a main role of Luchezar Avramov’s Bulgaria-Japan co-production PICTURE WITH YUKI (2018). 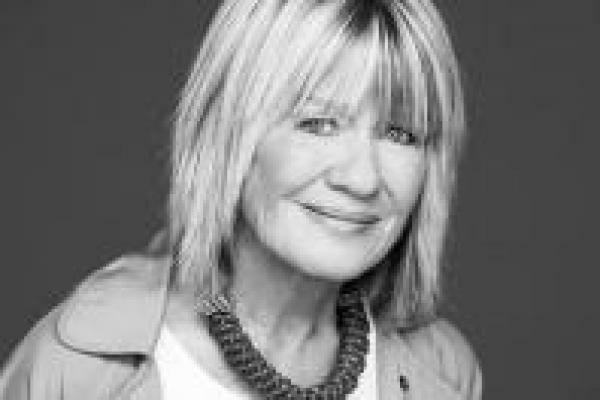 Margaret Pomeranz AM began her career in film and television as a screenwriter in the 1970s after attending the Playwrights' Studio at NIDA. She joined the nascent SBS in 1980 as a producer/writer which is where her official involvement with the AFI began when she co-produced the broadcast of the AFI Awards for the network. She shared a long-term screen partnership with David Stratton on firstly THE MOVIE SHOW on SBS and then with AT THE MOVIES on the ABC. She has been President of the Australian Film Critics Circle and both President and Vice-President of Watch on Censorship and a member of the Australian Advertising Standards Board. She is currently presenting on Foxtel Movies Masterpiece channel for her program MARGARET POMERANZ PRESENTS and as co-host of SCREEN, a weekly program on the Foxtel Arts channel with Graeme Blundell.